Size of this preview: 759 × 600 pixels. Other resolutions: 304 × 240 pixels | 608 × 480 pixels | 910 × 719 pixels. 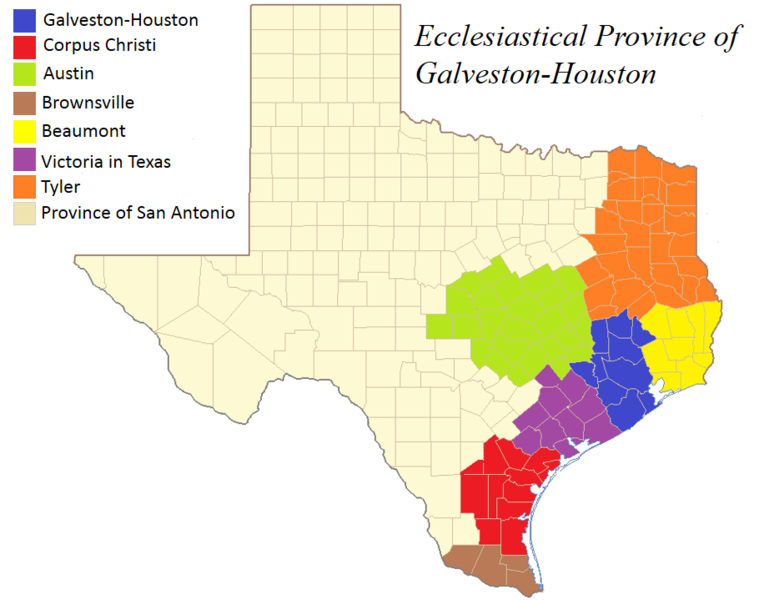 English: The Ecclesiastical Province of Galveston-Houston in the Catholic Church.